Human Hair Extensions Q&A: What are the best types? What Are The Best Human Hair Extensions? "What are the best types of human hair extensions?" Trying to determine what the best human hair extensions are isn't that easy as it really depends on what types of hair you want to wear. Braid Them, Bond Them, Twist Them, Clip Them, Clamp Them, Weave Them… Wear Them! 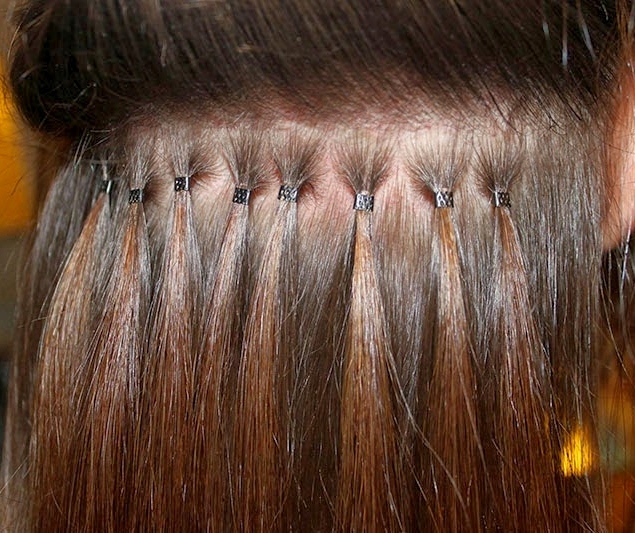 How Easy Should It Be To Manage Your Hair Extensions? If you have a full head of hair and want to discretely add some length our hair (and you don't mind a bit of maintenance) - then something like micro ring hair extensions may be a better option. Micro ring hair extensions require extra activities especially in terms of combing micro ring extensions, preparing for sleep, washing micro ring hair and drying micro ring hair. If you want something that's easier to manage that can be worn for a few months then human hair weave extensions might be a better option for you. Hair weave extensions allow you to manage your look more easily which is great if you don't have lots of time in the mornings to spend on your hair; especially if they've been sewn into your hair (there are also synthetic hair versions of hair weave extensions). 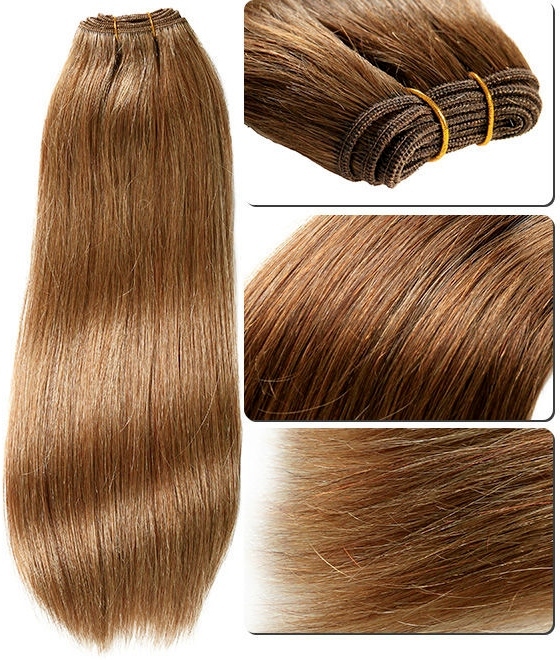 Glued in hair weave extensions are easy enough to wear (always read the label of bonding glue so you know how long you can wear them for) but unlike their sewn-in cousins, they require caring for in a particular way so as not to affect the glued area of the tracks. Braided hair extensions (yes they're available as human hair and are braided from the root of your own growth hair) are also easy to manage although they can take several hours to attach. Once attached there isn't much in the way of maintenance (your growth hair still needs to be moisturized and washed - but hey, you'd be doing that even if you weren't wearing hair braiding extensions, so no biggie). In the morning, all you have to do is decide how you'd like to style them. Not all human hair extensions are long term attachments and if you prefer to be able to remove your extended hair on a daily basis, then options like ponytail attachments, tape hair, aka skin wefts (also known as weaves) or clip in hair extensions. Whilst all the above types of hair extensions look different from one another, the basic care methods for human hair extensions can be applied to all irrespective of the attachment method. As we said at the beginning one type of hair is not necessarily better than the other, it comes down to affordability options and wearability options – and yes, we know that “wearability” isn’t a real word, but you know what we mean. Righto, that about does it; there are more questions and answers in the Hair Extensions Q&A section and to keep up to date with the next guide about hair weave, hair extensions, wigs and hairpieces join our blog – no personalinfo required - yay!